"We do not create art, we deliver." Ruiqi Dai, as the twenty-two best graduate designer-makers from across UK, graduated from University of the Arts London, after that, she furthered her study in Royal College of Art. 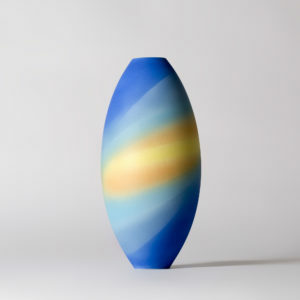 Her design work was awarded “A’Design Award Bronze Prize in 2018 and her works have been exhibited internationally and was described by the High End Magazine: “ have using completely original, handmade luxury objects to blend the lines between functional design and sculptural art.” Her latest series of works were collected by the British Ministry of Foreign Affairs in Beijing.